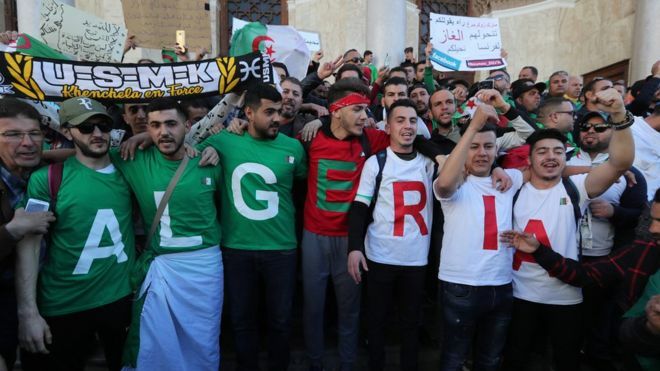 Thousands of protesters have gathered in Algeria's capital to demand the immediate resignation of President Abdelaziz Bouteflika despite him dropping his bid for a fifth term. On Monday, he postponed the planned 18 April presidential elections. Protesters, however, accuse the 82-year-old leader of illegally extending his term, according to BBC report. Students have been leading the massive anti-Bouteflika protests which have entered a fifth week. The ailing octogenarian rarely appears in public and has not given a public address since having a stroke in 2013. He returned to the country earlier this week after being admitted in hospital in Switzerland.